By Karrar Haider in Mobile. Updated on December 9, 2018 . Recently, notifications on my Android phone were being delayed by up to 15 minutes, and sometimes didn’t even reach me until I open the app. It was quite frustrating and I missed many urgent messages. However, it turns out it was mostly a fault on my end. As I was trying to optimize my phone for better performance, I made some mistakes in the process. If you are also facing a laggy Android phone causing delayed notifications, then there are a bunch of reasons why it may be happening. In this post, I’ll list all the solutions to delayed notifications on Android. Most phone and battery optimizing apps close all the background processes to free up RAM and put less load on the phone. This may boost your phone speed, but it will lead to delayed or no notifications from your apps. A lot of these background processes sync data and deliver notifications. Once they are disabled, you would not be able to receive any updates from the installed apps unless you open them or they have a feature to automatically turn on. 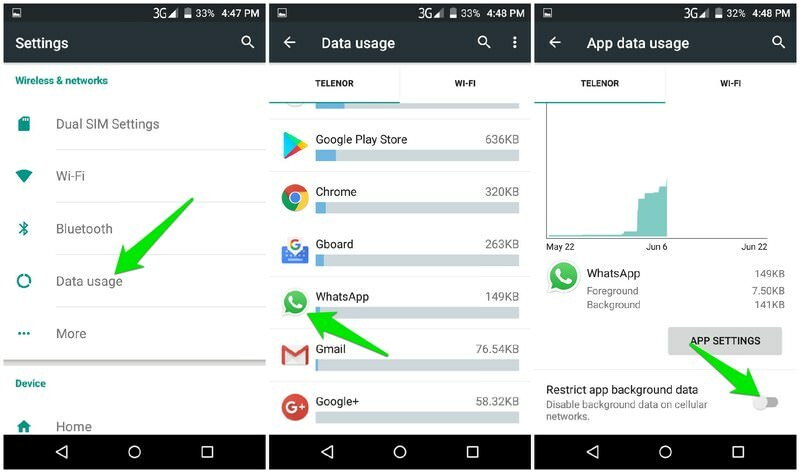 Following up to the above point, many users like to disable background processes from the Android settings to get a bit performance boost. Don’t do it, at least not for the apps from which you are expecting notifications, such as Facebook Messenger or WhatsApp. You should also refrain from task-killing apps that promise to completely shut down the app when you close an app using them. They also kill background processes while closing the app interface. 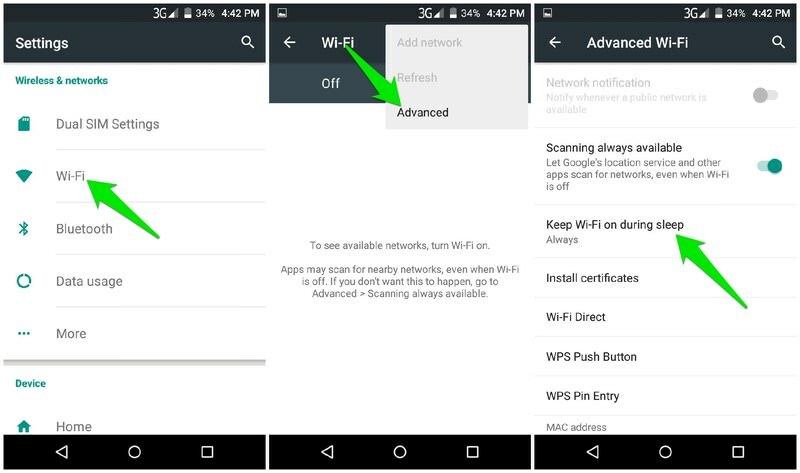 If you have a phone running Android Lollipop or newer operating system, then you must know about the Power Saver mode that helps you get more juice out of the battery. Usually, you are asked to turn on the battery saver mode when your battery goes below 15%, which is great for keeping your phone alive when you need it. However, Power Saver mode disables an important feature of the phone i.e. data syncing. While Power Saver mode is enabled, no app will syncs data in the background to keep you updated so you will not receive any notifications either. Don’t keep Power Saver mode enabled all the time, and only enable it on low battery when you are sure you are not waiting for an important message. In case you only receive notifications as soon as you unlock the screen, then there is a chance that your Wi-Fi gets disabled when your phone goes to sleep. It’s good for battery saving, but bad for data syncing. Go to phone Settings and tap on Wi-Fi. Now tap on the main menu at the top-right corner and select Advanced from it. On the next page, ensure "Keep Wi-Fi on during sleep" option is set to Always. This should keep Wi-Fi on when the screen goes black and show notifications in time. Go to phone Settings, tap on Data Usage. 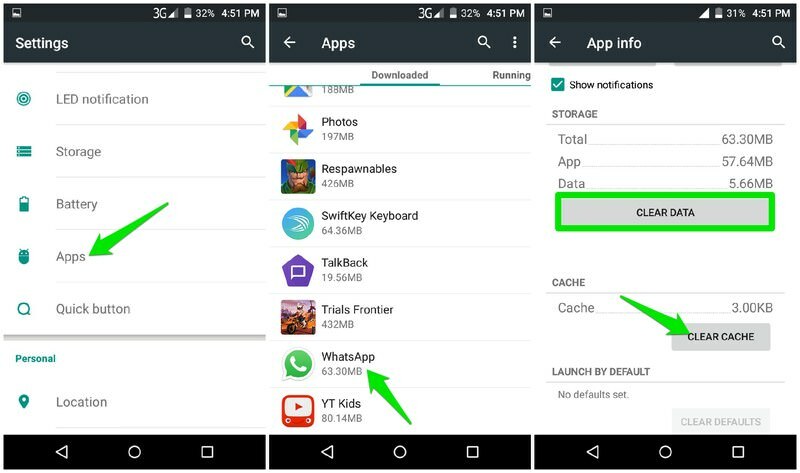 Select the respective app, make sure "Restrict app background data" feature is turned off. If that’s not the problem, then you can also try deleting cache of the app. Go to Apps from the phone Settings and open up the respective app. Tap on"Clear Cache" button to flush the cache. You can also tap on‘Clear data" button to delete all the data of the app. However, this will also delete all the app preferences and saved data unless it is backed up in the cloud. Almost all of the messaging apps in your phone use Google Cloud Messaging (GCM) service to send push notifications. Your phone keeps a stable connection with this service to ensure you receive timely notifications. For this purpose, your phone will send a network packet called a "Heartbeat" after every few minutes to ensure you are connected and able to receive notifications. The packet interval is 15 minutes for Wi-Fi connection, and 28 minutes for mobile data connection. Now there is a tiny problem, most routers and carriers disconnect from an inactive port after few minutes of inactivity, usually 5 minutes. So if you will not receive a notification for 5 minutes, then your connection will be terminated. And you will not receive any notifications until another packet (heartbeat) is sent and a connection is made. To solve this problem, we simply need to speed up the frequency of the heartbeat packet. And for this purpose, you can use the free app Push Notifications Fixer. 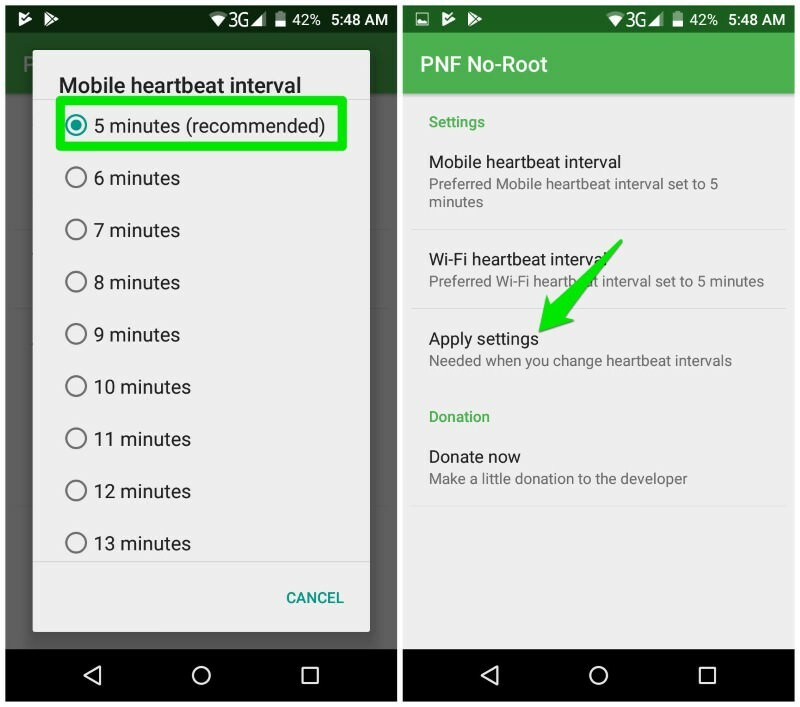 After installation, you will see two options, Mobile heartbeat interval, and Wi-Fi heartbeat interval. Both of these options will be set to 5 minutes, which is perfect as most connections usually timeout after 5 minutes or more. Tap on the Apply button to apply this heartbeat interval and you should start receiving notifications in time. Increasing the heartbeat interval impacts your overall battery timing. However, the impact is very minimum and I didn’t see any noticeable difference in battery time after installing this app. In case you want to switch back to default heartbeat interval, either uninstall the app or set the default interval right from the app. Push Notifications Fixer fixed my problem of delayed notifications. And I guess I was a fool to use Power Saver feature all the time in hopes of getting more up time. The above-mentioned solutions should be enough to solve your problem of delayed Android notifications. Do share which of these methods worked for you.